On Monday night, Jimmy Fallon returned to the Tonight Show for the first time since his mother, Gloria, passed away on November 4. 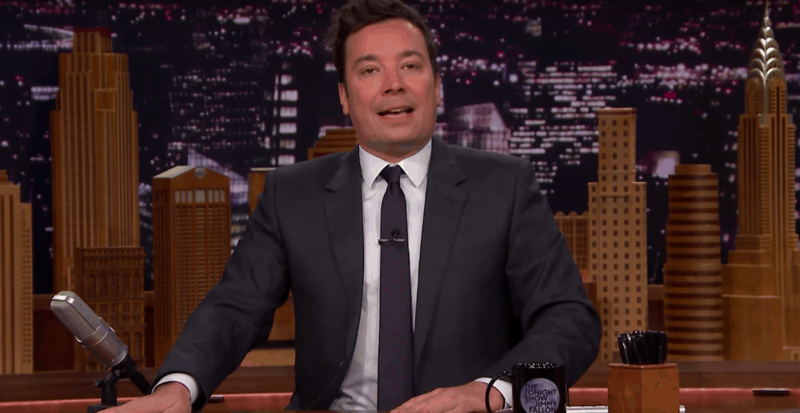 Fallon’s the biggest goofball on late night television, but his mother’s death clearly rocked him, as he made clear in a short, profoundly emotional monologue. The Tonight Show team wanted to do something special for Fallon, so they called up Taylor Swift on a whim to see if she’d be open to performing, and she reportedly said yes “without hesitation,” debuting Reputation‘s “New Year’s Day” live for the first time. It’s all very sweet, but Tonight Show producer Mike DiCenzo took to Twitter to pull the curtain back a little on some moving details from the afternoon’s recording. Read his thread below. It was a really tough day for our whole staff. A lot of us knew his mom Gloria, and she was the best. The best. She loved the show, she loved all of us, and most of all, she loved Jimmy. And as @Questlove said, Jimmy is not only our boss, he's our family. We love him. So we were devastated for him last week, and we were feeling for him today. The story about his mom squeezing his hand 3 times to say "I love you" when he was a kid, and then him squeezing her hand in the hospital – he hadn't told any of us that story… More on that in a second. That hug between Jimmy and Taylor after the song was 100% real emotion. Whatever you think of Taylor, she did something beautiful for Jimmy and our show today, and we're forever grateful. One last note: our show was right on time today, but we edited out a minute to leave room for Jimmy high-fiving audience members during the end credits. It was Gloria's favorite part of the show.